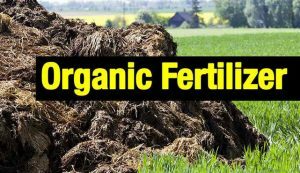 Manure vs Fertilizer - Which One is Best Organic Food for your Tree? 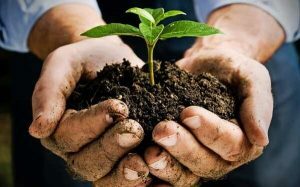 Home » Blog » Comparison » Manure vs Fertilizer – Which One is Best Organic Food for your Tree? 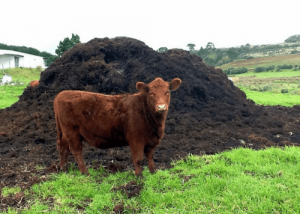 Manure vs Fertilizer – Which One is Best Organic Food for your Tree? Agriculture is the primary source of food and many products available in the market today. As the population is shooting up at its maximum, it is vital to get a higher yield from agriculture due to the increase in demand. It is a known fact that soil’s fertility is the primary factor that is responsible for the crop yield. Increasing fertility increases the yield. Farmers use manure and fertilizers to increase the soil fertility as both are rich in nutrients that are required by plants for proper growth. 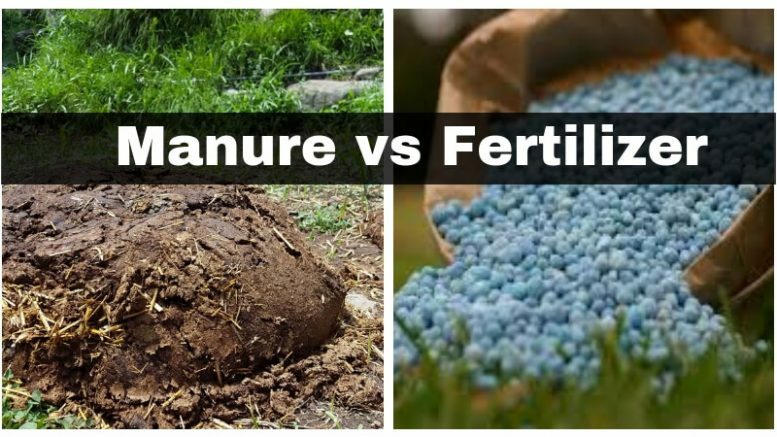 While a lot of people think that both fertilizers and manures are same, then that is not the case. Here are notable difference between the manure and fertilizer. Manure is a mixture of both organic and inorganic substances. Fertilizers only have inorganic substances. It is made on a farm or a field. It is manufactured in factories and industries. It takes a lot of time to make manure as the process of decomposition takes time. As machines make it, the process is not very time-consuming. It has a low concentration of nutrients as it is prepared naturally. It has a higher concentration of nutrients as it is human-made. Manure provides humus to the soil. Fertilizers do not provide humus to the soil. It is not absorbed quickly by the plants. It is absorbed quickly by the plants. As it is made in field itself it has an economical rate. Fertilizers are costly comparatively. Manure has multiple nutrients and can enhance the fertility of the soil. Fertilizers are specific in nutrients and help in increasing the fertility as well as the productivity of the soil. It is not soluble in water. It is soluble in water. As it helps in making the soil poros and also enhances the water retaining capacity of the soil and improves its texture. It does not help in making the soil poros and increasing the water retaining capacity. Plants need Oxygen, Hydrogen, Carbon, Nitrogen, Phosphorus, and Potassium in a high concentration for the growth. Some of these nutrients such as oxygen, hydrogen, and carbon are available naturally while rest is needed to be provided for the better crop yield. Plant manures are the best choice because it is an excellent source of nitrogen. It is produced by decomposing plants which are grown for making the manure. As the nitrogen is available in abundance from the dead plants itself, this manure is much needed for increasing the soil fertility. The manure has all the decomposed plants, its leaves, cow dung, food waste, etc. which helps in sufficing the nutrient demands by the soil. Manure is a type of natural fertilizer as it improves the fertility of the soil. There are no disadvantages to using manure as it is made organically. The only drawback of using manure is it will take time to show results in increasing the fertility and improving the crop production as it is not absorbed by the plants quickly. Synthetic fertilizers that are also known as inorganic fertilizers are manufactured in the industries and have a higher concentration of nitrogen, phosphorus, and potassium. It also contains other nutrients such as sulfur, ammonia, etc. that are required by the plants for achieving the optimal growth. 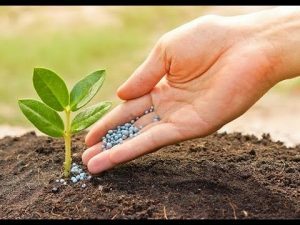 Organic fertilizers are quite similar to the manures as it has natural substances such as crop waste, plant materials, seaweeds, etc that help in increasing the soil fertility. However, Synthetic fertilizers are very popular among the people because it is absorbed quickly by the soil and gives the result in less time. But it should be noted that these fertilizers are very harmful to the land in the long run due to its higher concentration of chemicals. It can decrease the fertility of the soil due to it’s repeated use. As it reduces the soil acidity and also lowers the microbial activity, it is not recommended for the extended use. As manure is comparatively safe and doesn’t harm the soil, in the long run, I would suggest manure over fertilizers. However, if you need the instant and better results you can use fertilizers in the limited amount. Remember that overusing the fertilizers will reduce the effectiveness of soil. 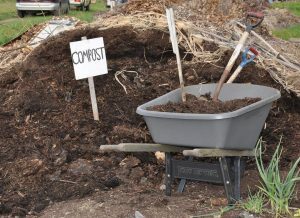 Be the first to comment on "Manure vs Fertilizer – Which One is Best Organic Food for your Tree?"